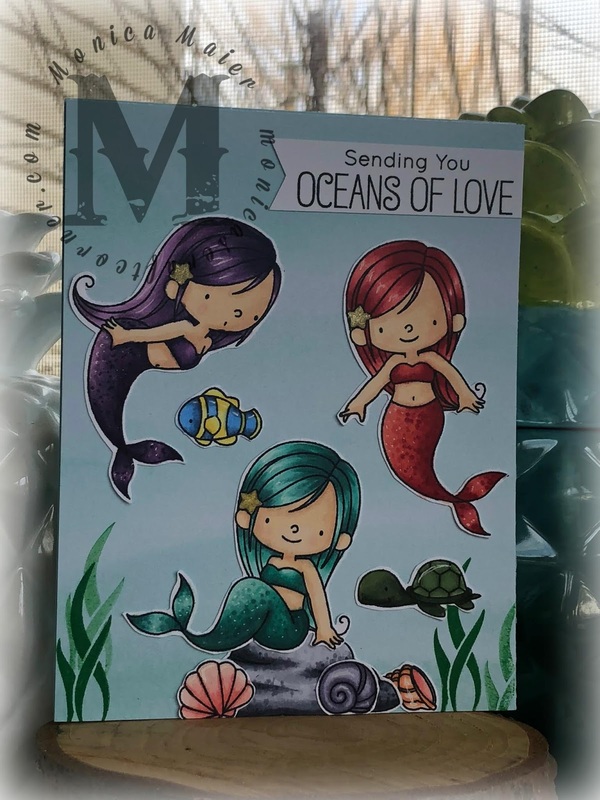 Today I have a mermaid card for the Make Your Mark theme of Addicted to stamps and more challenge! I plan on sending this to a friend of mine for Valentines... she's the reason I have these adorable MFT mermaids to color after all! Just love these girls and they were a lot of fun to color with my Copics! Hope to see you play along with us for the Make Your Mark Challenge!